MyRU, the interactive learning platform from RE/MAX, is the latest evolution in the industryleading education platform of RE/MAX University. MyRU is a custom-tailored and completely redesigned experience for RE/MAX associates around the world. a variety of real estate subjects. The Trax are flexible, allowing associates to access the training from anywhere and pick up where they left off at any time. Not only can associates start and complete these courses from anywhere at any time, but they can also plan their course load. Think of this like planning their semester of classes back when they were in college. RE/MAX University also makes it easy to earn designations and certifications that give the associates and their business more credibility. Associates can earn the ABR, CRS, CDPE, CIAS and many other specializations through these video courses. Nationally, RE/MAX associates have more advanced designations that any other real estate company. The associates at RE/MAX Central also benefit from weekly in-house technology training on the latest resources available and participate in scheduled webinars covering all aspects of real estate marketing. Whether it’s on their television or computer, in the classroom or through a webinar, RE/MAX University is a 24/7 source for the best ideas, training and real estate information in the industry. “Our associates aren’t new agents but some of the top performing and top producing agents in the state,” said Jeffrey Fox, broker/owner of RE/MAX Central. “Our commitment to excellence and the level of professionalism of our associates has enabled RE/MAX Central to be the No. 1 RE/MAX office in New Jersey for the past four consecutive years,” added Fox. RE/MAX has the most productive sales force in the industry. 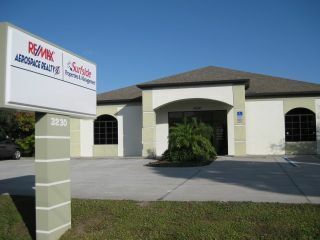 In the 2012 REAL Trends 500 Report, RE/MAX brokerages claimed 44 of the top 50 most productive offices.